Today’s English collocation is quite unique. It’s a double negative ‘NOT so DISsimilar from’, and if you think about it, you’ll realize that ‘it’s quite similar to’ would convey pretty much the same meaning! Having said all this, however, I have to point out that double negations don’t necessary mean the very same thing as their positive statement counterparts. Let’s take, for example, the following two statements: “I’m not stupid” and “I’m smart”. Now, tell me please, do these two mean the very same thing? Well, even though it might seem so at first, in reality the first statement “I’m not stupid” is used in difference circumstances than the second one. You’re most likely to exclaim “I’m not stupid!” if someone treats you like a child and you want to point out that you’re very well capable of handling this or that particular job. “I’m smart” would be used in totally different situations – when you want to brag about something, for example. Same goes with the double negative “not so dissimilar from”. It’s most commonly used when you want to express your surprise at a particular person or thing turning out to be quite different from what you expected it to be in the beginning. So, as you can see, this English collocation can be quite successfully used in situations when you want to point out that somebody or something has failed your expectations, and then you compare them to something that you find really bad. It doesn’t mean, however, that you can use this collocation only when discussing negative aspects of your life! 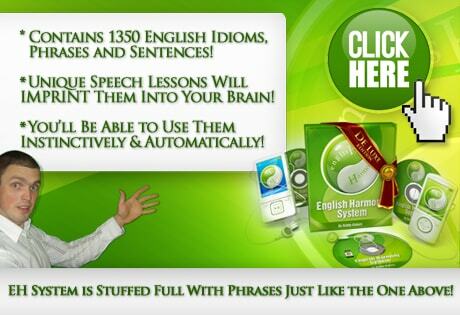 Most importantly – don’t forget to do some spoken English practice using this collocation. And in case you’re thinking that speaking English with yourself is not the same as speaking with others, read this article I wrote a while back: Speaking With Yourself Isn’t As Different From Speaking With Others As You Might Have Thought! And if you think about it, I could have actually used today’s collocation in that article’s headline, couldn’t I? “Speaking with yourself isn’t so dissimilar from speaking with others” would convey pretty much the same message! It seems both “dissimilar from” and “dissimilar to” are used as collocations. I’m not that keen on a tablet computer, I’ve seen it but I think I’ll stick to my trusty old laptop.